Any help would be appreciated. 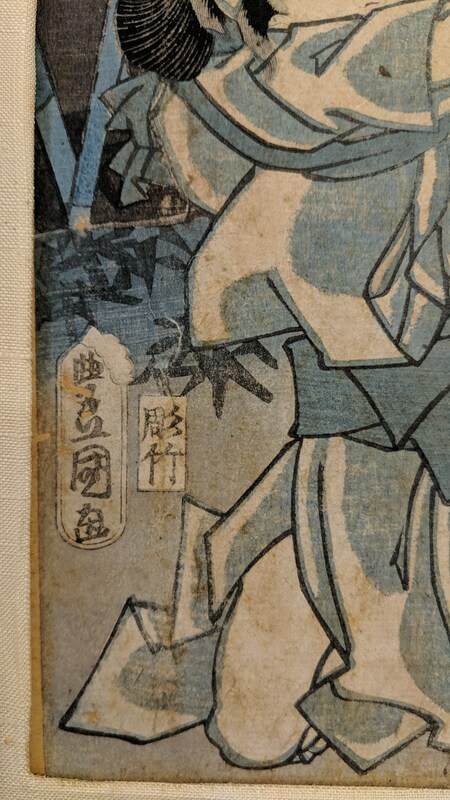 I think it's an old wood block print but have no idea. Would like to understand what this is. 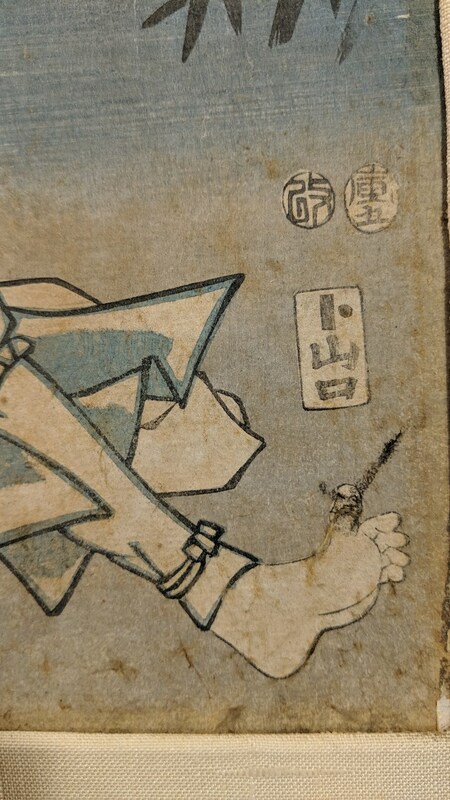 Your print (printed in 1854) is by Utagawa Kunisada (signing as Toyokuni III). 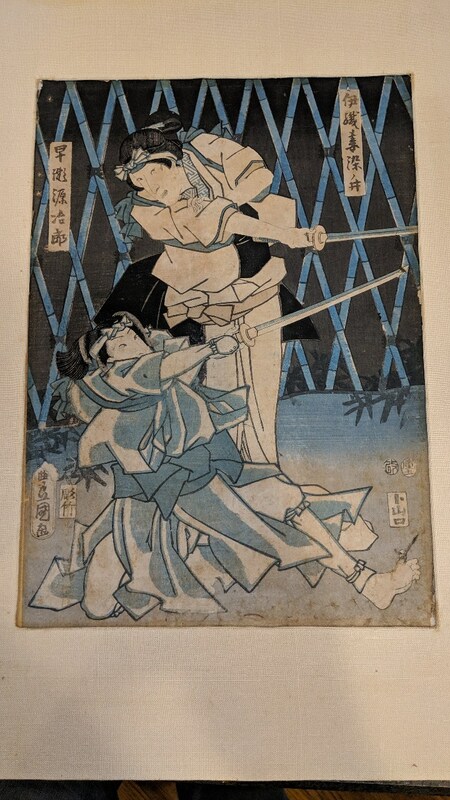 Iori Tsumasomenoi - Hayase MinamotoJiro You can see a less faded version at the link below.